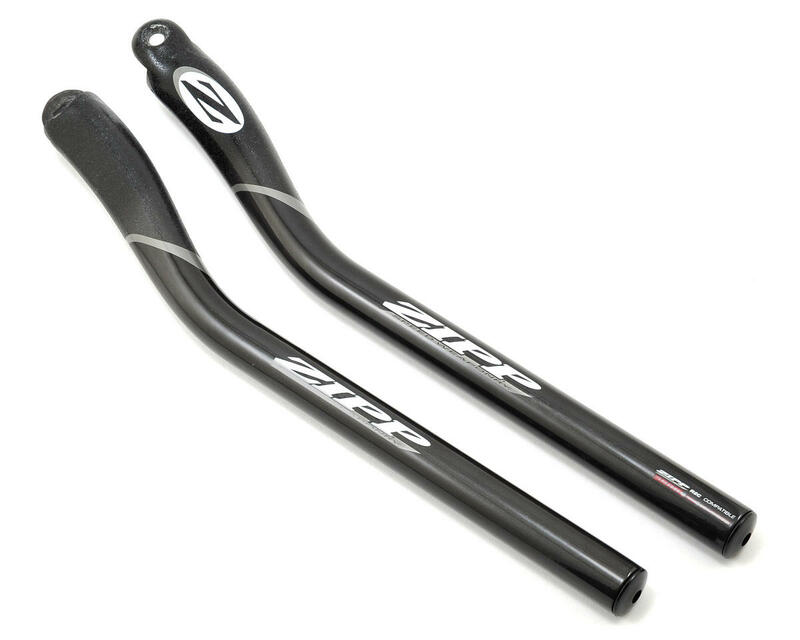 This is a pair of Zipp Vuka Carbon Aerobar Extensions. 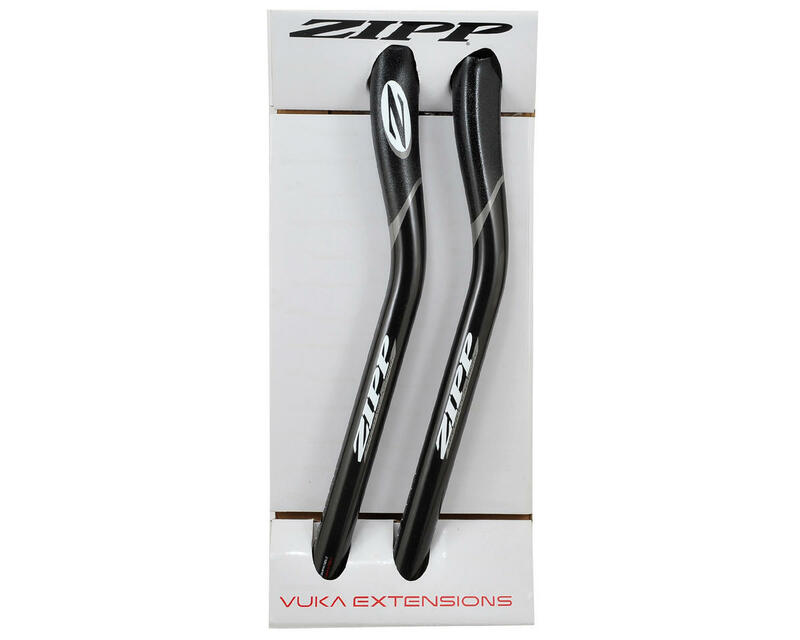 Zipp’s carbon Vuka Extensions give you all the options needed to optimize your aero position and go for the win or your personal best. 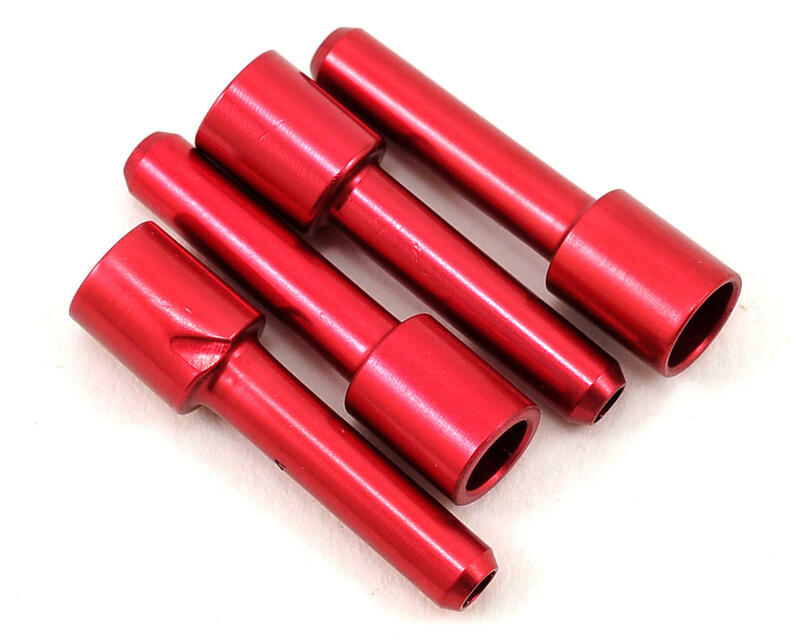 All carbon Vuka Extensions come with an industry-standard 22.2mm diameter and are compatible with the Vuka Alumina Clip but not the VukaClip or VukaAero. All extension styles have a length of 360mm and have sleek internal cable routing. The carbon Race, Straight and Ski-Tip bends are compatible with all shifting systems, while the Race Vuka Shift is only compatible with SRAM 900 TT, 500 TT, R2C Aero Shifter and Zipp R2C shifters. Straight: Gets you low for that aggressive aero position. 125 grams. Ski-Tip: Places you in a position for speed as well as long-haul comfort. 140 grams. Vuka Race: Designed using data compiled from thousands of fit sessions with recreational and professional cyclists and triathletes by the world’s best fitters. The Vuka Race bend places the wrists at a more natural bend to help riders remain in their tuck to optimize aerodynamics. 135 grams. Race Vuka Shift: Features the innovative Race bend, but moves the shifter closer to the rider’s hand by almost and inch by mounting the shifter directly onto the extension, which helps allow riders to shift easily from their aerodynamic tuck. The Race Vuka Shift is compatible with SRAM 900 TT, 500 TT, R2C Aero Shifter and Zipp R2C shifters only. 145 grams. The extensions are marked on the underside in 1 cm increments with half centimeter increments shown with smaller lines. A minimum of 3cm of extension must be inserted into the VukaBullet body to avoid damaging the extensions. This means that a minimum of six marks (three large and three small) must be inserted into the bar after the bars are cut to length. If more than 4cm of extension need to be removed, Zipp recommends removing in 2-3 cm increments to avoid over cutting of the extensions. The extension should be wrapped in masking tape at the point where it will be cut and cut with a composite or FRP specific hacksaw blade. The masking tape will help ensure that the cut is clean and no jagged fibers lift off of the part. Warning: Do NOT cut anything from the front end of these extensions.